A big part of the holiday season seems to revolve around the “Jolly Old Elf” we call Santa Claus. 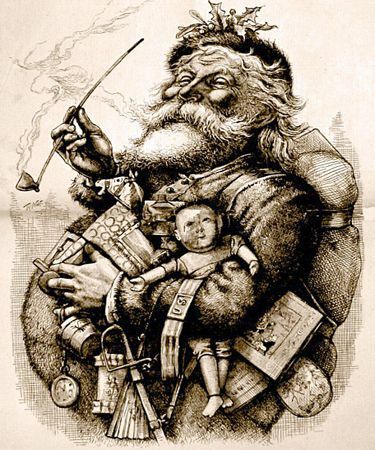 The legend of Santa can be traced back to the 3rd century where he was admired for his kindness and became the subject of a variety of legends. He first became popular in American culture around December of 1773. But where did that famous list come from? It really didn’t appear until 1934 when it was mentioned in the song, "Santa Claus Is Coming to Town." And since that time, parents have used Santa’s list to inspire appropriate behavior from their children! What One Thing Would You Ask Santa For in a New Kitchen? Santa’s “Naughty-or-Nice” list isn’t the only list associated with the holidays. Visit the malls and you’ll find children sitting on Santa’s lap with a list of the presents they’d like to receive. Of course, adults have been known to make lists of their own for things they want - whether or not they actually write them out or sit on Santa’s lap. Adult lists (sometimes) tend to be a little more practical. And if you’re a homeowner, one thing high on your wish list may be a new kitchen for your home. But what does that entail? What do you really want from your new kitchen (whether Santa brings it or whether one of his elves does the remodeling for you)? If you had to limit yourself to one improvement, what would it be? • Updated Appliances? Sometimes your appliances make your kitchen look and feel a little out-of date. And on top of that, older appliances simply aren’t as energy efficient as newer ones. While you’ll spend some money to update, you may also qualify for some energy rebates that will help to offset the cost. • New Cabinets? Worn cabinets can really age a kitchen. And while you may be able to resurface them, newer cabinets often include design features that not only make them look better, but also offer better functionality (with features such as soft-close doors and drawers, or a built-in “lazy Susan”). • More Efficiency? Even new appliances, countertops, and cabinets won’t help if the design of your kitchen isn’t efficient. Maybe you simply need more space - or perhaps you want to open your kitchen up to the family room or dining area so that you can entertain guests while you work in the kitchen. That may be a more involved project - but as a professional remodeler, we can often see opportunities for expansion that aren’t obvious to you. The good news is that you don’t have to limit yourself to just one thing. But in order to end up with the kitchen you really want, you’ll need to do some serious planning. That’s where Santa’s “remodeling elves” (us!) can really be a big help. Start by making your list (and checking it twice if you want to) and then getting together with us to come up with a plan that will turn your Christmas kitchen dreams into reality! 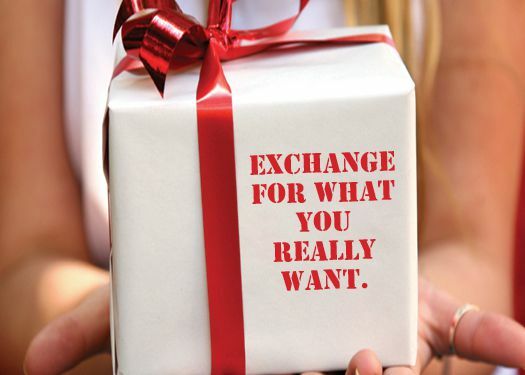 For many of us the holidays are a time of giving gifts, but it turns out we’re not really all that great at it. Thestreet.com posted a list of the most returned holiday presents. Here are the top 5 most returned items. If you have someone in your family who is “gifting-challenged” you may want to leave this list out for them as a heads-up!